Arrive at Nadi International Airport. After clearing Fiji’s Immigration & Customs please proceed and exit the Customs Hall. Our Tour Shop number is #21 or booth 6. Please also ask for Tour Managers, your local representative, at the Information Desk. Your English speaking representative will welcome you with a “Bula”, shell lei, mint towel and bottled water, before directing you to the domestic departures. Pacific Sun domestic air travel Nadi airport/Savusavu. 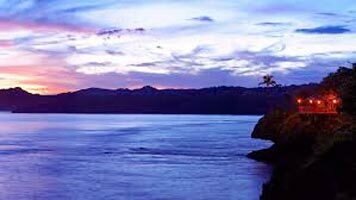 On arrival at Savusavu, you will be met by Namale Representative who will transfer you in their resort vehicle to the resort. Rest of the evening will be free for leisure. Overnight stay will be at Namale Resort and Spa at Namale Island. Includes: all Meals - Full service breakfasts, lunches, snacks, hors d’oeuvres, dinners All Beverages including beer, liquor, red and white wines and champagne, full stocked and daily serviced Mini Bars, daily laundry, nightly turndown service, golfing. All activities including freshwater swimming pools, water-skiing, kayaking, volleyball, tennis, lawn croquet, billiards and table tennis. Overnight stay will be at Namale Resort and Spa at Namale Island. After the delicious breakfast, the whole day will be free for enjoying the activities which is offering in the resort like snorkeling, horseback riding, basketball, badminton and ten-pin bowling or you enjoy the beach resort by having relax or taking the sunbath on the sparkling white sand shores. Lunches, snacks, hors d’oeuvres, dinners All Beverages including beer, liquor, red and white wines and champagne, full stocked and daily serviced Mini Bars, daily laundry, nightly turndown service and golfing. Overnight stay will be at Namale Resort and Spa at Namale Island. After the delectable breakfast, enjoy your day in the resort with virtual golf, putting green, air hockey, hiking, reef walks, waterfall hikes and movie theatre or enjoy the beauty of the Island by your own with your beloved. Lunches, snacks, hors d’oeuvres, dinners All Beverages including beer, liquor, red and white wines and champagne, full stocked and daily serviced Mini Bars, daily laundry, nightly turndown service and golfing. Overnight stay will be at Namale Resort and Spa at Namale Island. 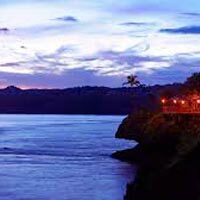 After the luscious breakfast, you will get transfer services from the resort to the Savusavu Airport where you will catch the domestic flight to return back to the Nadi Airport, Fiji. At the airport our representative will meet and assist you towards the Sheraton Fiji Resort. Overnight stay will be at Sheraton Fiji Resort. After the yummy breakfast you will get the transfers towards the Nadi International Airport where you embark the flight for your onward journey.